Colorado Rockies reliever Rex Brothers added another immaculate inning to the 2014 MLB season in the eighth inning of Saturday's game against the San Francisco Giants. The Rockies pitcher struck out Michael Morse, Brandon Crawford, and Gregor Blanco with nine total pitches. 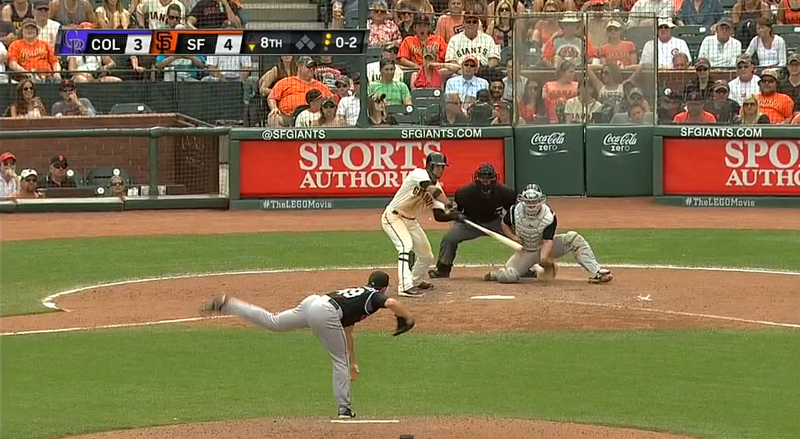 Morse and Crawford were caught looking; Blanco struck out swinging. Brothers is the first Rockies player ever to record the feat; his performance was the 76th immaculate inning in MLB history. There have never been more than five immaculate innings in one season. There haven't been five in one season since 1998. Cole Hamels, Brad Boxberger, Justin Masterson, and Garrett Richards accomplished the first four immaculate innings in 2014. There's a lot of time left in this season to record an unprecedented sixth.